This blog is the initiative of Maithreya Parisara Matthu Grameena Seva Trust, Tiptur - The result of love, passion and care towards Bidarammana Kavalu an Amrithmahal cattle grazing grassland. Though there is a distinction between fresh water lakes and brackish water lakes, just as the lakes of Tiptur taluk lakes which lies on southern peninsular India are distinct from those of the Himalayan region and natural lakes from man made reservoirs, there is no scientific evaluation. The Tanks and ponds, all over the Tiptur taluk are in varying degrees of environmental degradation. The degradation is due to encroachments eutrophication (from domestic and industrial effluent as in case of Tiptur lake) and silt. There has been a quantum jump in population during the last century without corresponding expansion of civic facilities resulting in tanks and ponds, especially the Tiptur town ones, becoming sinks for contaminants. 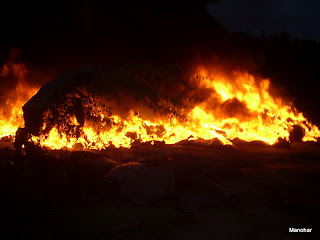 The main causes for the impaired conditions of the tanks could be summarized as under. Organic, inorganic and toxic pollution from industrial effluents. Nutrients through fertilizer, toxic pesticides and other chemicals, mainly form agricultural runoff. Organic pollution from human settlements spread over areas along the periphery of the lakes and reserviors. Silting of tanks on account of increased soil erosion as result of expansion of urban and agricultural areas, deforestation, road construction and such other land disturbances taking place in the drainage basin. Diversion of river feeding the tanks reducing their sizes. Untreated or inadvertently treated domestic and industrial (Motor vehicle workshops) effluent from point sources located all over the basin. Milk that which is equal to nectar (Amruth) and Mahal represented the office which manages Wild Cattle of the Royal Palace. Originally Karuhatti’ establishment of Vijayanagar Viceroy at Srirangapatna consisted of selected breed of Cows brought from Vijayanagar, has initiated the Cattle development activity for the supply of milk and milk products to the palace, some time during 1512. During the Year: 1617-1704 Wodeyars of Mysore made their own additions to these stocks from time to time assigning ‘Kavals’ in different parts of the Kingdom for the purpose of grazing. 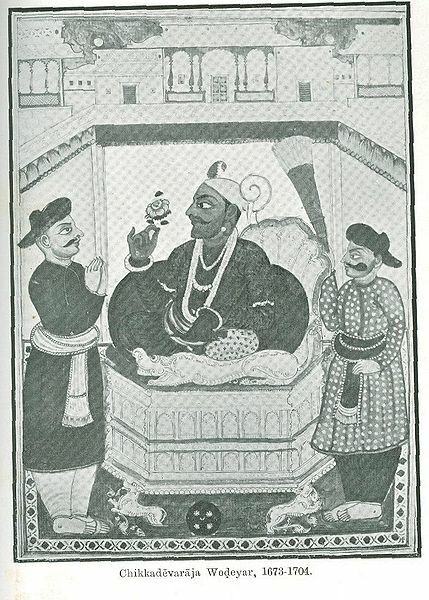 In 1636-1653 Sri Srikanta Narasimha Raja Wodeyar gave special interest for the development of these cattle. During the year 1672-1704 Chikkadevaraya Wodeyar brought this establishment under the name "Benne Chawdi" for the better management and reserved nearly 4.13 lacks acres of Kaval land in different climate zone for the conservation and development of this precious breed. They were divided into hot weather, wet weather and Cold weather Kaval according to the seasons of the year during which they are of most use. Hot weather Kaval are generally the beds of tanks in which grass springs up during hot month, and in which there are trees for affording shade to the cattle during heat waves with special privileges as regards to grazing. He appointed specially Servegaar for maintenance the Breed purity, Kavalgar and his head Kaval ranger for protecting the Kaval Lands and fodder development. The cattle of Benne Chawdi were marked with the special symbol Dhe () for the identification. The Animals of Benne Chawdi were regularly classified for the purpose of (Plow) agriculture, (Gun) transportation and (Pack) breeding. At the same time, the bullocks were utilized for the movement of army equipage. Like this the glory of improving these cattle breed in terms of quality and goes to Sri Chikkadevaraya Wodeyer of Mysore. 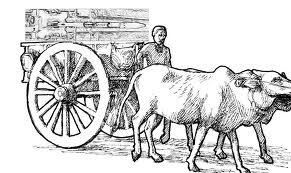 Later, Benne Chawdi was taken over by Hyder Ali in different battles & gathered all the herds from Chitradurga, Tarikere and Tirchinapalli into one and used this cattle’s especially for the artillery purpose. He reported to have introduced a small Brahmani bulls which are noted for the endurance and fast trotting powers breed of cattle from Trichy and crossed with the indigenous breed of Mysore province, and produced more improvised version of the Hallikar breed, which is considered to be the one of the best in the Amruth Mahal establishment. It was said that there were more than 60,000 cattle’s in his time and these establishment which enabled Hyder Ali to march 100 miles in 2 days and half, and after every defeat to draw of his guns in the face of enemies. 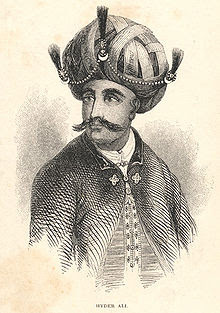 After Hyder Ali, his son Tippu Sultan reorganized the whole establishment of Benne Chawdi which consisted three important family; namely Hallikar, Hagalwadi and Chitradurga for the better administration and management and named it as ‘Amruth Mahal’ from the “Benne Chavdi”. Tippu took the interest in this breed and issued regulations through ‘Hukumnama’ (Royal decree) and appointed Dewan Poornaiha of Srirangapattanam to look after the Amruth Mahal department. Under this Hukumnama regulations, Huzuer Master (Annual mustering) was the activity carried out every year for the purpose of documentation of the Cattle and lands, where the under breed cattle were removed regularly from the herds to maintain pure & superior breeds. He awarded Land, Gold and silver for the best care taker of the cattle and Kavals. Further these cattle also enabled Tippu sultan to cross the peninsula at the speed of 40miles per day before Gen.Medson of British army could make it and helped him in recovery of Bedanur. Even now this Hallikar of Amrithmahal is called as Poornaiha’s cattle in the Thanjavor and Thiruchanapalli belt. Like this Cattle of Benne Chawdi which reached the heights of progress in terms of quality and quantity during the time Chikkadevaraya Wodeyar, reached its heights of development during the time of Tippu sultan. 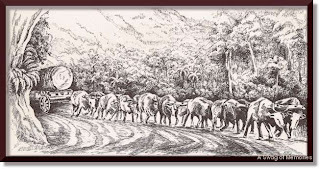 The Cattle’s of Amruth Mahal attracted great deal of attention of military strategist’s during the Tippus time on account of their endurance in adverse weather conditions, consistency in traveling 16 hours per day, and the ability to move and cross in tough and dangerous roads at maximum speed with which they could move heavy army equipment like artilleries, Shells and Food materials. Even the Duke of Wellington during peninsula war exclaimed that he regretted that he had not the assistance of Amrithmahal Cattle. After the 4th Mysore battle in 1799, Srirangapattanam was taken over along with the Amrithmahal establishment by the British. A commissioner Captain Harvey was placed in charge by the establishment. However they adopted the same ways and means to sustain the development of Amrithmahal Cattle for Milk, draught, warfare etc., The department comprising 143 Kavals was placed in charge of Military Assistant to British Government of India. Littlewood (1936) quoting an army officer who accompanied an army expedition to Afghanistan in 1842 says no draft cattle in the army were so efficient as the 230 (Mysore) bullocks, which accompanied the troops to Afghanistan. It was entirely due to the superiority of these cattle that no part of the equipment was required to be abandoned when the troops were returning to India over the almost impracticable roads through the Tirah Mountains. These cattle were frequently upwards of sixteen hours in yoke. Kristnasamiengar and pease (1912) mention that cattle of Amrithmahal establishment originally comprised there distinct varieties. Hallilkar Hagalvadi and Chitaldroog prior to 1860. It seems that these there varieties were maintained separate from each other. The real fall of Amruth Mahal cattle kingdom began with its abolition and wrong economic vision by Sir.Khauls in the year 1860. He divided these herds into different groups and sold most of the animals to the Pasha of the Egypt, who moved all the Amruth Mahal cattle to the Egypt at a stretch. 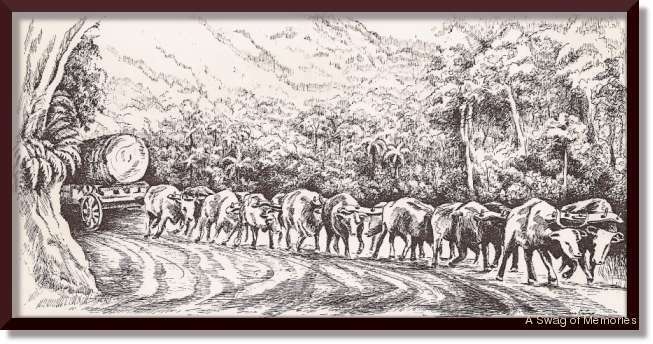 Mean while Maharaja Krishna raja wodeyer of Mysore took special interest to conserve these cattle and began to collect the left over cattle during the transit with the help of Kavalgars and Servegars of the abolished Amruth Mahal department. Even today around 137 cattle (now 60% of them are extinct) carries the name of the family or place, which they were collected or procured. The Amruth Mahal was re-established in December 1867 by the MadrasSouthern Karnataka namely Chickmagalur, Chitradurga, Davanagere, Hassan, Shimoga and Tumkur. 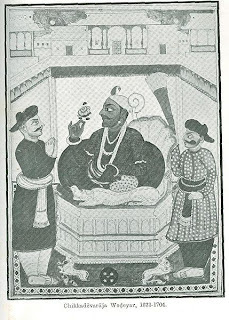 commissioner with the assistance of Maharaja of Mysore. The cattle were divided in to 30 herds containing from 200 to 700 head of cattle each; for grazing of which 208 Kaval or pasture grounds were allotted from various part of erstwhile Mysore state. These are very valuable Kaval and are reserved solely for Government Cattle, which lies in the six districts of Karnataka. These are very valuable Kaval and are reserved solely for Government Cattle, which lies in the six districts of Southern Karnataka namely Chickmagalur, Chitradurga, Davanagere, Hassan, Shimoga and Tumkur. A ‘Kaval’ means a grazing space for cattle. Many Amrithmahal Kavals still exist from a long time and are now under the Department of Animal husbandry and Veterinary services. As the cattle are maintained in these pasture areas without any restrictions and handling, they show a very impatient, wild and unruly disposition. 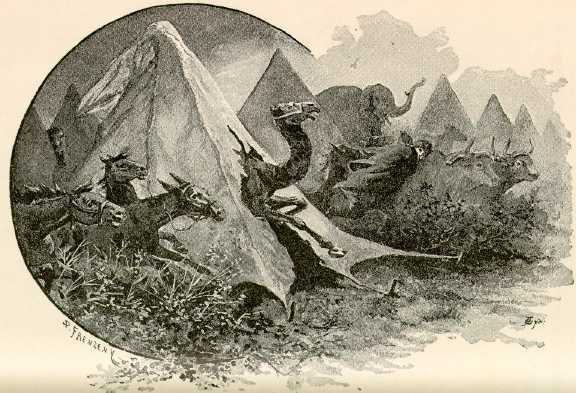 They are at time dangerous, particularly to strangers. They need patience and care in training; hard treatment makes them stubborn. Once they are trained they are extremely fine bullocks, particularly for quick transportation. They are observed to have great endurance. Annually mustering and auctioning of excess of this animals to the farmers for agriculture purpose is being done by this department. However, the number of such wonderful animals is reducing day by day and feared to be at the verge of extinction. 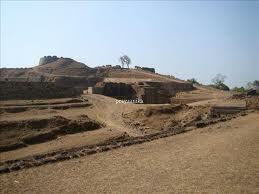 Maithreya is a small community of Tiptur, Tumkur dist. dedicated to nature protection and spread the environment awareness. Its members are from diverse culture and background with the concern for all pervading destruction's happening in the environment. Maithreya Parisara matthu Gramina Seva Trust. Travel theme. Powered by Blogger.